Brianna Craver (instagram: @briannacraverjewelry) is a Vancouver-based jewelry designer, who is dedicated to producing high quality, custom designed wearable art. I had the pleasure of visiting her cozy studio located in North Vancouver where she crafts her pieces. Her label, Brianna Craver Jewelry, offers a wide range of selections from delicate stackable rings and bracelets to bold, statement necklaces. How did you get into jewelry designing and what are your inspirations? 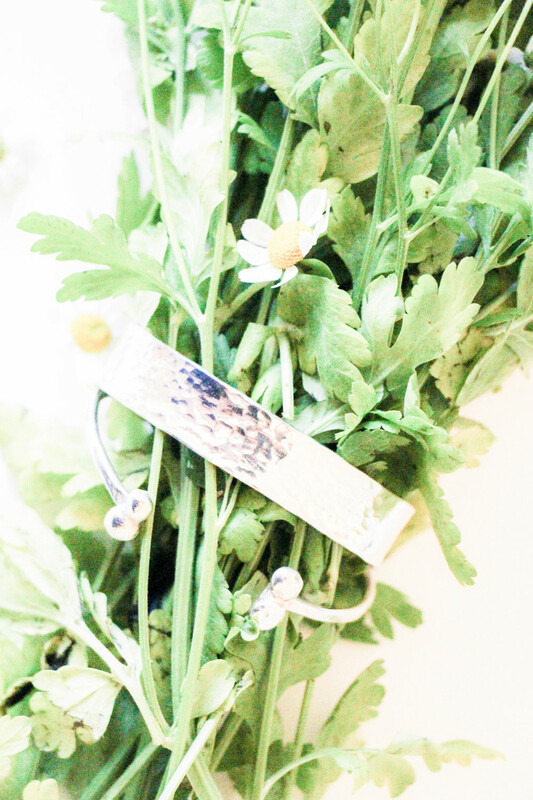 "I've been really privileged to grow up around jewelry design, rocks, and minerals. I grew up scooping fallen beads off my Grandma's bead store and putting them on leather cords. I always loved working with my hands as a kid and youth. I continued beading and wire-wrapping throughout high school. In 2008, I took my first introductory silver-smithing course and then applied to jewelry school at VCC. I took the two-year program and became completely hooked on metal and stones." "My inspiration comes a lot from the stones I love. I love buying a piece and creating something around it. I love moonstones and labradorites because they look different from every angle. I am a total magpie and love shiny things. I would say I like a simple and clean look inspired by nature." "I really admire Pyrrha. I admire that Pyrrha was started in Vancouver by self-taught women. They've been hugely successful too! I think they're every aspiring jewelry designers pedestal of success. I also have a lot of friends who have done well making jewelry. I admire how hard they've had to work to get to where they are. It's definitely not easy starting out." What are some pieces that you always wear? "I'm always wearing my bone bracelet, a chain necklace, and a few rings these days. I love to layer my jewelry so it's not uncommon to find me wearing a fistful of rings and a couple of necklaces. I also really like hoop earrings. I love working with silver so most of what I wear is silver." What direction do you want to take as a designer? "For me (at the moment), I am heading back to school to finish my degree in education so I can teach high school students art metal. I'm really excited to impart my knowledge with the youth. I plan on keeping my brand while in school, and afterwards. I do a lot of custom work on the side too. So I plan to keep everything going as I transition into teaching." Any words to aspiring jewelry designers? "I would recommend taking a jewelry night course before diving into any extended programs like my two-year diploma from VCC. There are lots of awesome teachers out there and some great beginner books. Make sure you really love jewelry design before you go all in. The startup costs can be really expensive. It also doesn't hurt to learn things on less expensive metals like copper or brass to start out. Keep your scraps too! They add up and you can get them made into new sheets or get some money back." Her pieces are soooo pretty! My favourite ones are her chain necklaces with the quartz crystals (the ones I am oh-so-happily wearing). Also, I'm a total fan of her dainty little stackable rings! They are so simple and easy to pair with anything. Be sure to check out her website at www.briannacraver.com where you can also pick up one of her pieces. If you really wanna go all out, you can even send her a request for a custom designed, one-of-a-kind masterpiece. She's super talented at what she does and will work wonders to fit whatever style you're looking for!